The programme was organized to provide the young women who are beneficiaries of Action Health Incorporated’s “Marginalized Girls Initiative” with the opportunity to interact with Canadian and Nigerian women in uniform; with the goal to inspire them to consider opportunities in non-traditional fields like the armed forces and learn from women in uniform who are thriving in a male-dominated field. The event is in line with Canada’s Feminist International Assistance Policy which seeks to promote gender equality and empower women and girls to eradicate poverty and build a more peaceful, inclusive, and prosperous world. 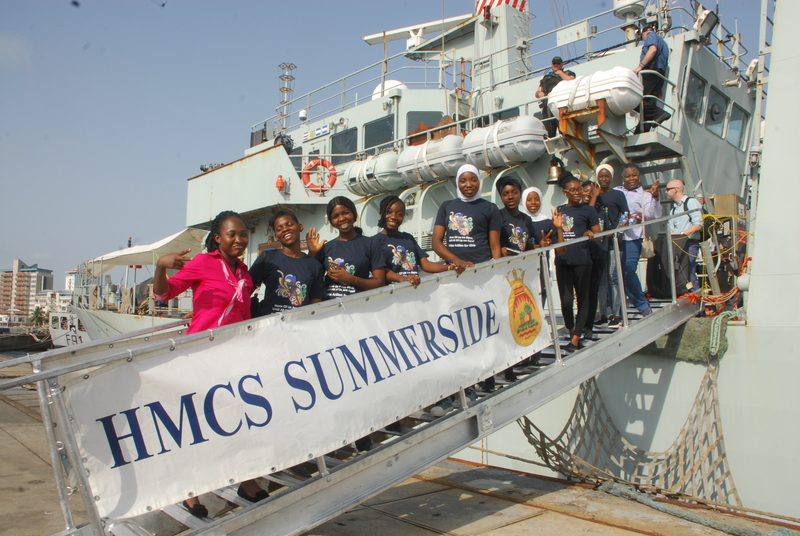 The event was held aboard HMCS Summerside, one of two Royal Canadian Navy vessels making the first Canadian Navy port visit to Nigeria. 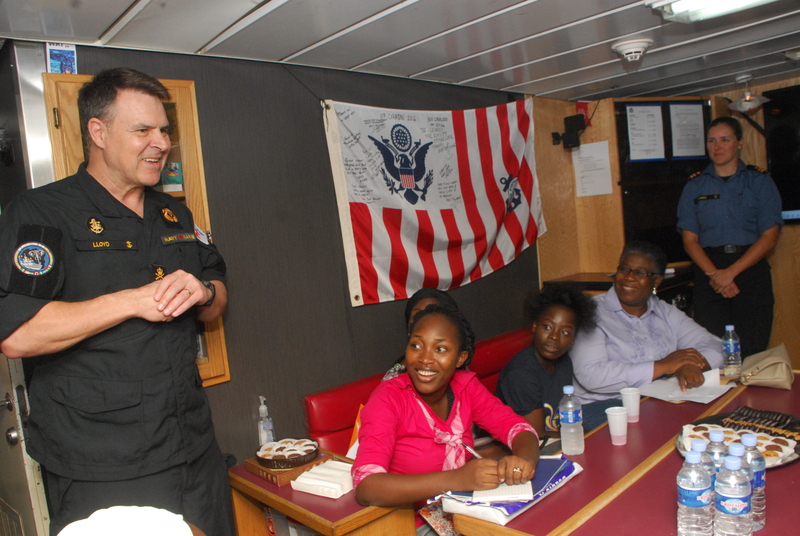 The girls were received warmly by the crew of the vessel and welcomed by Commander Lambert, the commanding officer of the vessel. 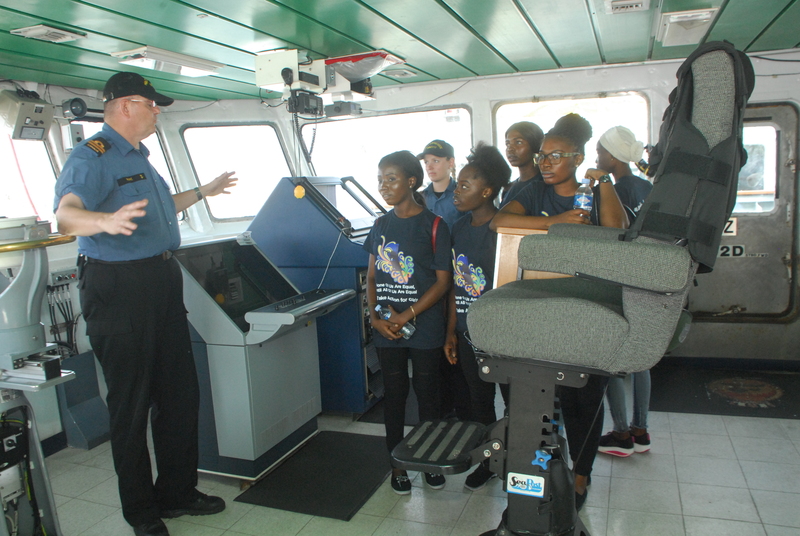 Commander Lambert also introduced Vice-Admiral Lloyd, the Commander of the Royal Canadian Navy, who also welcomed the girls and showed a short video that described the opportunities for women in the Canadian Navy. After Vice-Admiral Lloyd’s remarks, Commodores Jamila Malafa and Christie Opara shared their personal stories about how they joined the Nigerian Navy and how they achieved their levels of success despite the obstacles they faced. They both encouraged the girls to be diligent and focused in the pursuit of their goals, to avoid distractions, and to be ethical and supportive leaders. Mrs. Adenike Esiet, the Executive Director of AHI, then described the work that the organization does to address the peculiar circumstances faced by girls in marginalised slum communities around Lagos State, and shared the importance of intervening through the provision of sexual and reproductive health information and services, education, livelihood skills, and financial inclusion opportunities. At this point, each of the 10 young women introduced themselves and shared their life stories, describing how they managed to excel in the face of significant they have lived through, as well as their future aspirations. This was followed by a discussion where officers in the Royal Canadian Navy shared stories of female sailors who have succeeded in the navy as a result of the encouragement and mentorship they received, while Commodores Malafa and Opara, and Retired Major General Amusu shared the challenges of discrimination and opposition against Nigerian women who want to succeed in the Nigerian Armed Forces. 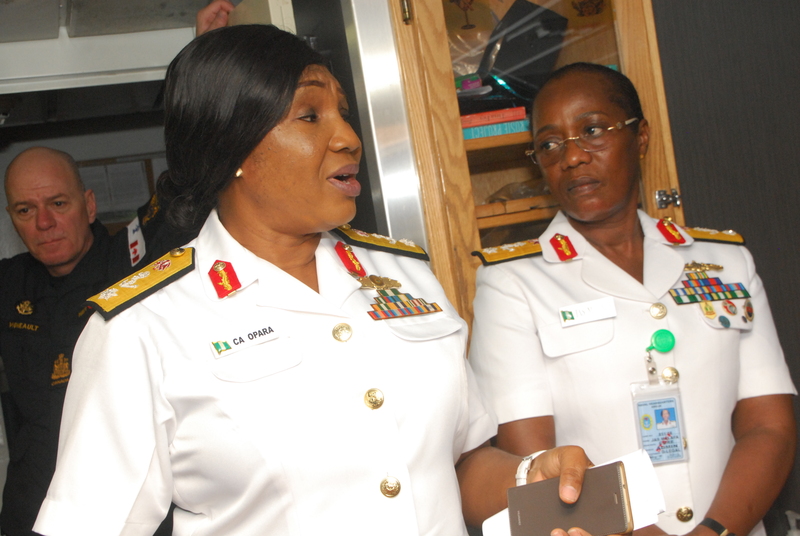 The discussion ended with a ray of hope for Nigerian females as the Commodores and Major General asserted that pathways are being paved by past and currently serving females in the Nigerian Navy and Army. 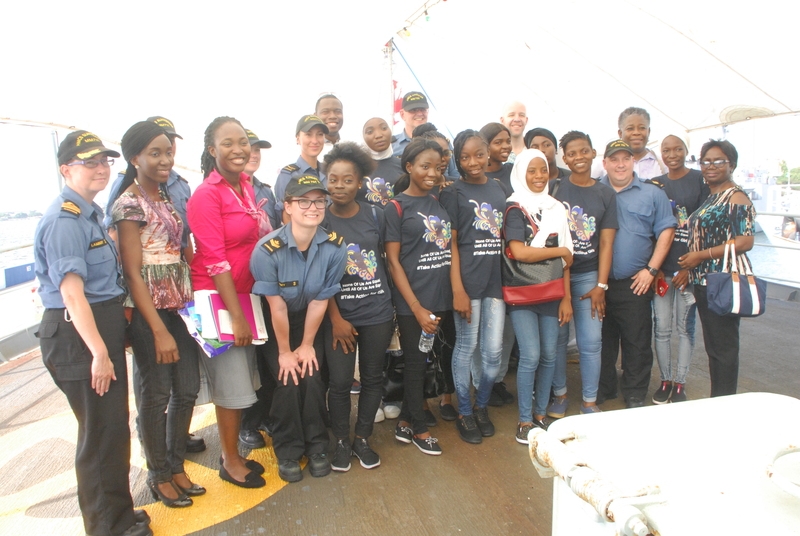 The event ended with formal donation of materials by the Royal Canadian Navy to AHI, and thereafter the young women were taken on a tour of HMCS Summerside and learned how the ship was operated and maintained.